This article first appeared in City & Country, The Edge Malaysia Weekly, on January 14, 2019 - January 20, 2019. 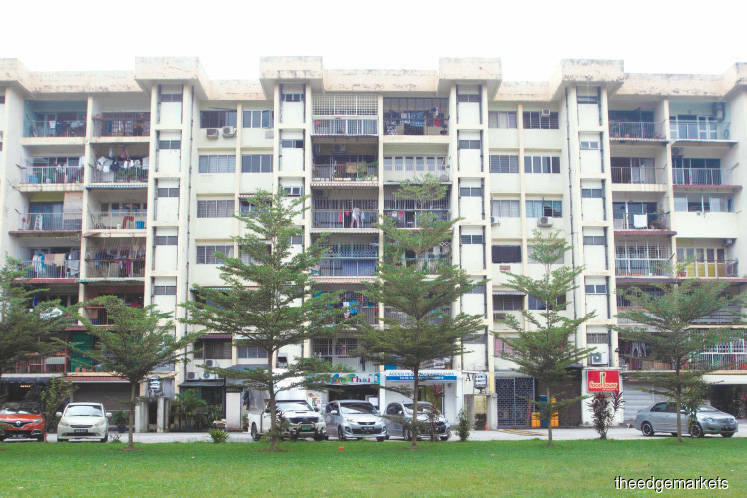 Said to be built in the 1970s, the three nondescript apartment blocks of Happy Mansion in Section 17, Petaling Jaya, hide in plain sight several popular restaurants and cafes that offer a diverse range of delectable food. It has been at least a decade ago since this writer tasted her first mille crepe at Food Foundry, which still makes them today, along with other simple Western dishes and baked goods. Another restaurant popular among us PJ kids back then was myElephant Thai restaurant. The dimly lit and cosy eatery still attracts a steady stream of Thai food fans. Happy Mansion’s popularity among foodies and restaurateurs has not waned. Some of the new kids on the block include Xiao by Crustz patisserie and Kwong Wah. The latter is a much raved-about eatery run by the third-generation owners of the business that reportedly can be traced back to 1939. It welcomed the first patrons to its new Happy Mansion premises a year ago, serving its popular ais kacang, cendol, homemade buns and cakes, nyonya kuih, nasi lemak, mee siam and asam laksa. Another new outlet is Muse Eatery, which quickly replaced the recently closed Hello by Kitchen Mafia. Just around the block, one can find good coffee and cakes at Butter + Beans, authentic Thai street food at Frame Thai, wallet-friendly lunches as well as siu yuk (roast pork) specials at Elsie’s Kitchen by WanEli, signature Asian sandwiches at Good Blue Men and chicken rice and char siew at Ban Huat Heng coffee shop and Choon Yien restaurant. For tea connoisseurs, tea bar Tanah dan Air, wedged between two bigger shops, offers tea tasting and brewing classes. A far cry from the modern retail concept popular at many new serviced residences and condominiums, Happy Mansion is a quaint and quiet neighbourhood where life seem to moves at a languid pace. Nestled among the cafés and eateries are traditional businesses run by old timers, including a laundry, a book-binding service, a hair salon and sundry shops. Property consultants say transactions of the shop units at the freehold development are few and far between. “The commercial units are rarely put on the market as most are occupied by popular eateries that have been there for some time. In general, rents in the area range from RM6,000 to RM9,000,” says Dino Russo, Zerin Properties head of residential. Zerin Properties data shows that a 2,325 sq ft shop in Block B at Happy Mansion was transacted at RM1.3 million or RM559 psf in 2017. In 2013, a 1,216 sq ft shop in Block A was sold at RM700,000 or RM576 psf. While the apartments at Happy Mansion may be a bit old, the development in general seems to be in good condition, considering its age. Dino notes that Happy Mansion is among the older non-landed developments popular with renters, especially students from nearby institutions such as University Malaya and the International Islamic University Malaysia because of the many facilities and amenities in the vicinity. It offers generous layouts, ranging from 1,100 to 1,400 sq ft. A 1,400 sq ft corner, 3+1-bedroom 2-bathroom, partly furnished unit at Block B is being offered for sale at RM613,000, and for rent at RM1,850 per month. A fully renovated 2,400 sq ft penthouse with 5 bedrooms, 3 bathrooms and five car parks, is currently listed at RM918,000. According to one agent, two 1,100 sq ft apartments at Happy Mansion were transacted for RM550,000 and RM555,000 last year. One of the best-yielding properties in the area, Happy Mansion gives average rental yields of 3% to 4%, says Zerin Properties’ Dino. Much has changed and is still changing around it. The former Sentosa Cinema in Section 17, which used to be a major attraction, has now been redeveloped into Seventeen Mall & Residences by the Conlay Group. In nearby Section 13, new developments under construction include AtWater by Paramount Property, offering 493 units ranging from 670 to 1,422 sq ft, and Ryan & Miho by OSK Property, which has 1,084 units ranging from 678 to 990 sq ft. Whether Happy Mansion can retain its old school appeal is something only time will tell. So far, so good.